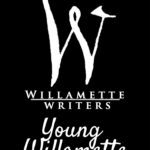 Teresa Klepinger is the Portland Young Willamette Writers Program Leader. This is a group of young people, ages 13-18, who are passionate about writing and want to learn from authors about developing their craft. Teresa loves working with kids. She is the “Storylady” at the Sherwood Library and conducts creative writing workshops for students. Contact her.